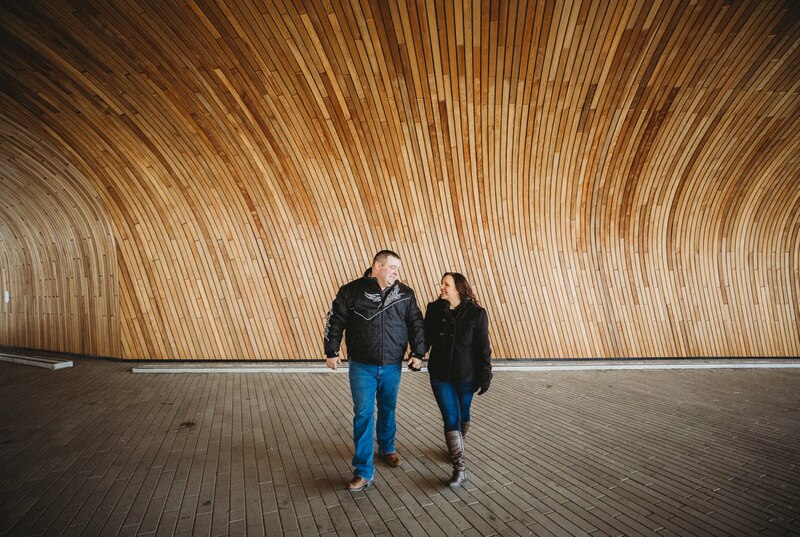 Christa and Adam came to Calgary from Drayton Valley for their engagement session….on probably the coldest day of the year. When we woke up to -38 with the windchill, our outdoor plans were out the window. 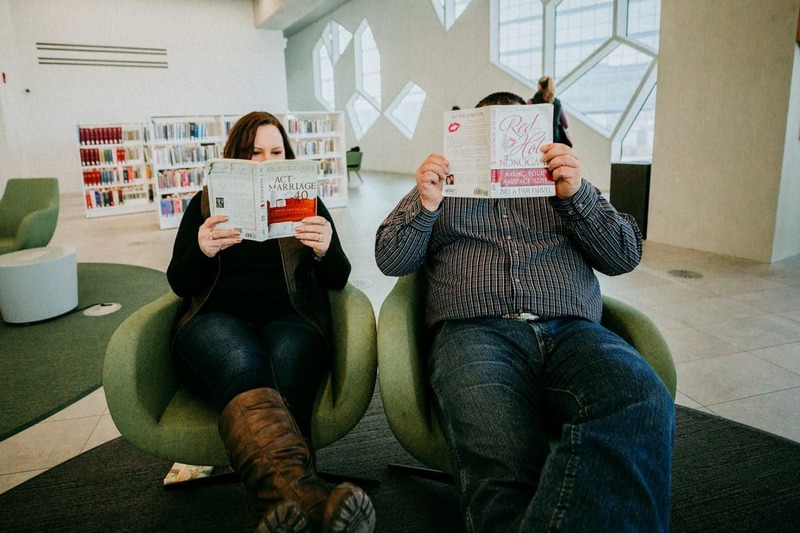 So, we decided to check out the new Calgary Central Library for their engagement photography. It did not disappoint! Christa and I have known each other since we were teenagers. We showed cattle together in Saskatchewan and had all sorts of fun. 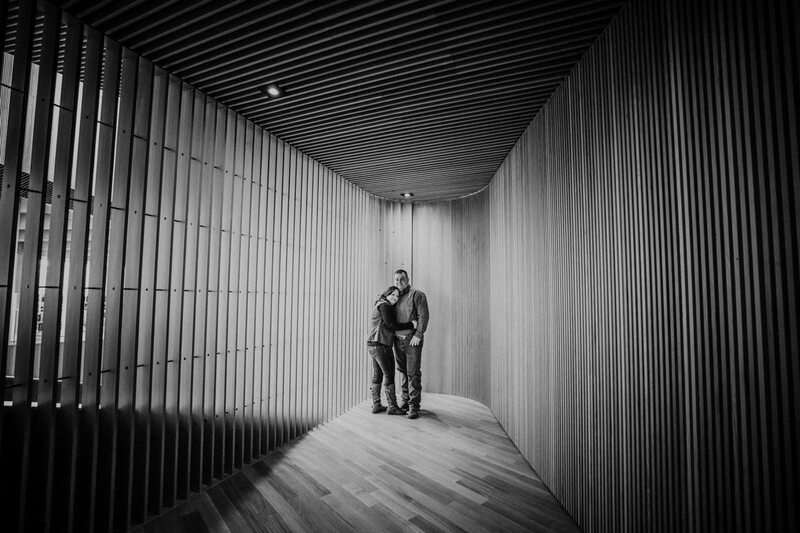 We really reconnected in our late twenties when we both found ourselves at the same phases of life with new jobs, new cities and new adventures. It was a fun time for both of us and I’m so happy that she’s found the one for her now. Adam is such a wonderful person and I had so many laughs photographing him and getting to know him. 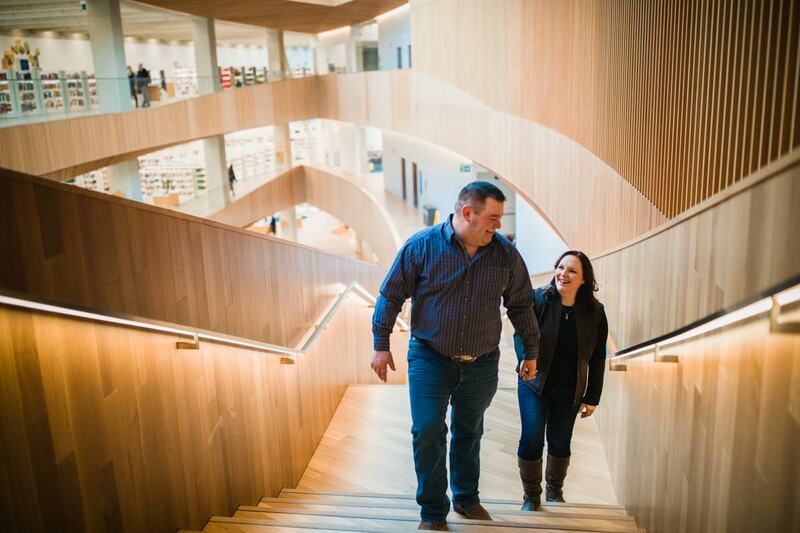 I cannot wait for their Edmonton wedding next month. We just hope that it’s a little warmer outside!